We offer the complete spectrum of wood fence styles, from simple and sturdy split-rail fences, to classic American picket fences, to ornate, hand-cut custom designs. Every design is possible, so please contact us right away if you’re looking for something that you can’t find referenced on our site. 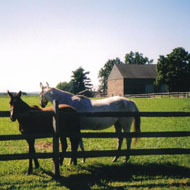 We can suggest simple, affordable, natural-looking fences to keep your children and pets safe. 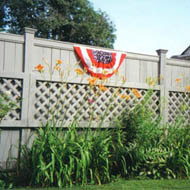 We have a wide range of styles that provide instant privacy from a busy neighborhood. For the gardener, we have arbors, trellises, and custom fences that will bring out the beauty of your peaceful green space. We don’t use the cheapest lumber and materials for our wood fences. 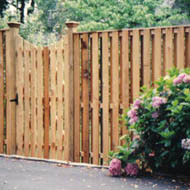 We use aluminum, rather than galvanized nails, on cedar fences, to assure long-lasting beauty and structural integrity. We buy the best cedar and spruce lumber available for fence use, and our fences cost no more than comparable products sold at cut-rate stores. Many of our wood fences in the area are still standing strong after decades of wear and tear. Contact us to get a price quote for installation. Order sections at our Skippack location for DIY’ers.